time to take out that leftover soup I made New Year's Eve. This soup is one of our Filipino comfort food. We have this for breakfast, lunch, merienda (snack), or dinner. Pretty much an any day, anytime kinda food. When we are sick this is the first thing our Moms would offer to make. and this hot steamy soup soothes your throat or tummy when you're ill.
as my before lunch recess snack. 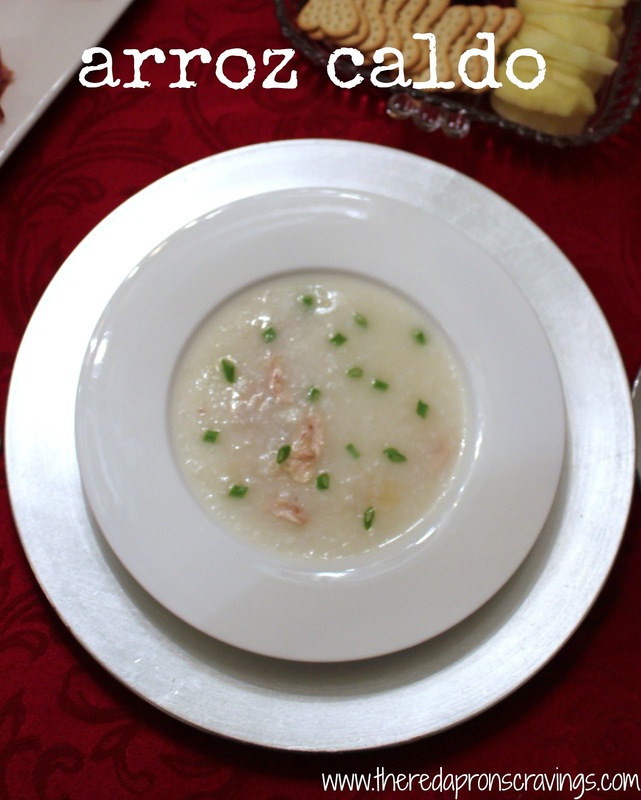 Arroz Caldo means Hot rice. 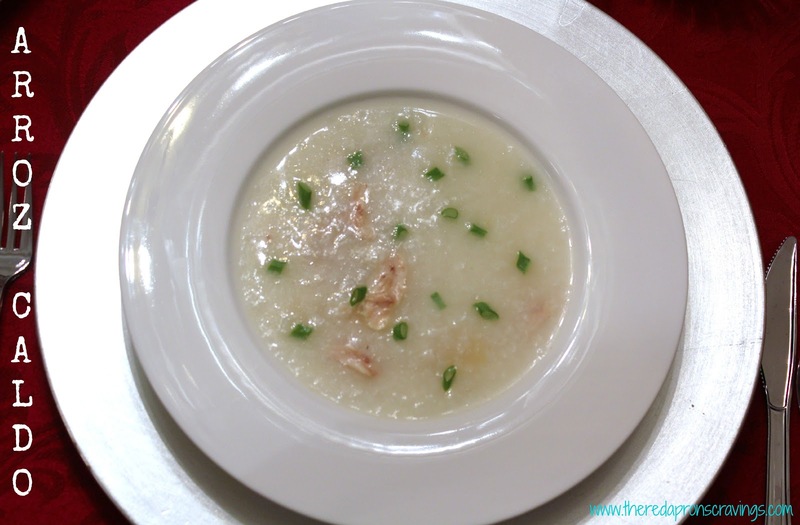 Arroz Caldo is similar to the Chinese Congee. The difference? We add strips of ginger and chicken to our soup. 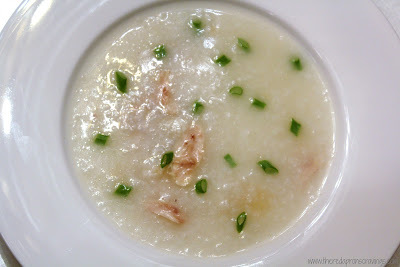 And I love my arroz caldo more soupier than the congee. Some make their Arroz Caldo as the same consistency as congee. which I think is so unhealthy because of the MSG content. In a stockpot on medium high heat, add water bring to a boil. Add onions and chicken pieces. Bring to a boil. Add rice, bring to a boil. Cover and lower heat to medium to low heat. Cook for 30-40 minutes. Stir every 10 minutes to avoid rice from sticking at the bottom of the pan. Ladle soup to prepared bowl, top with spring onions, fried garlic, and hardboiled eggs if preferred. You can use any chicken pieces you prefer, I like using bone-in chicken to add more flavor to the soup. My children prefer chicken drummettes. And my husband and I like chicken breast cut in 1 inch bite size cut. For a more thicker, porridge like arroz caldo, you can reduce the liquid to 4-5 cups of water. A pinch of saffron can be added as well.